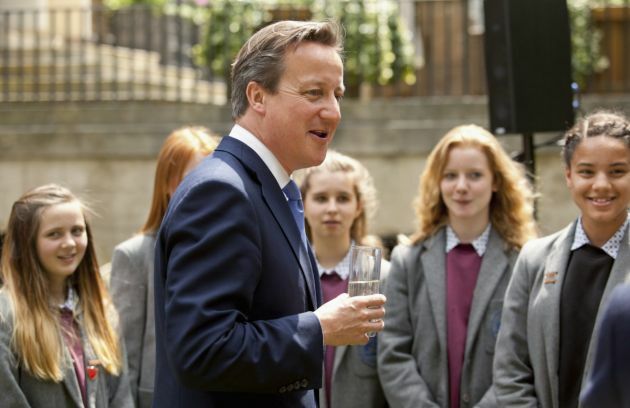 (Photo: REUTERS / Ben Gurr / Pool)speaks to students at a reception being held at Downing Street, as part of the government's ongoing programme marking the centenary of World War One, in London July 1, 2014. Pope Francis has commented on Britain's decision to leave the European Union saying it must be followed by "guarantees" for the good of both Britain and the countries on the continent. He was speaking to journalists aboard the Papal plane on his way to the Armenian capital, Yerevan, and said referendum result must be respected because it was wanted by the people, Vatican Radio reported. The Archbishop of Canterbury, Justin Welby and the Archbishop of York, John Sentamu, the two most senior clerics in the Church of England also noted that the outcome had been determined by the people of this country. At the same time the call on Britons to unite in their humanity following the 52 to 48 percent choice by voters on June 23 to leave the European Union, the first country to choose to leave the 28 nation bloc. Global markets reacted with shock at the result which destabilizes Britain and the EU and British Prime Minister David Cameron who led the stay in Europe campaign announced his resignation on June 24. "As citizens of the United Kingdom, whatever our views during the referendum campaign, we must now unite in a common task to build a generous and forward looking country, contributing to human flourishing around the world," said Welby and Sentamu in a joint statement. "As citizens of the United Kingdom, whatever our views during the referendum campaign, we must now unite in a common task to build a generous and forward looking country, contributing to human flourishing around the world. "We must remain hospitable and compassionate, builders of bridges and not barriers. Many of those living among us and alongside us as neighbors," they said. Pollsters believe that a key factor in the bitterly contested vote was a surge in anti-migrant sentiment fueled by the out campaign that some in the stay campaign liked to a hate crusade. A week before the historic vote a pro remain lawmaker Jo Cox, a former human rights worker who toiled for Syrian refugees was stabbed and gunned down outside her office in Batley, northern England. A 52-year-old man charged with her murder when asked his name in court had said, "My name is death to traitors, freedom for Britain." Campaigning was suspended for three days after her killing, but it did not have any known impact on how people voted. 2The referendum campaign has been vigorous and at times has caused hurt to those on one side or the other. We must therefore act with humility and courage – being true to the principles that make the very best of our nation," said the two Anglican leaders in their statement.